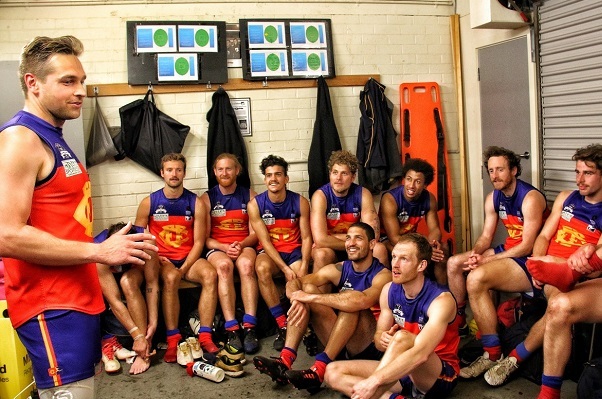 What’s better than a Fitzroy win for Father’s Day? Two Fitzroy wins! Get dad, mum and the whole family down to Bill Lawry Oval in Northcote this weekend for semi final week. You can bring your friends too, just no pets. There is no AFL, so no excuses! Let’s get the red, yellow and blue beanies there in big numbers. The Seniors are up against Williamstown on Saturday at 2pm. The Reserves take on Old Geelong on Sunday at 11.40am. 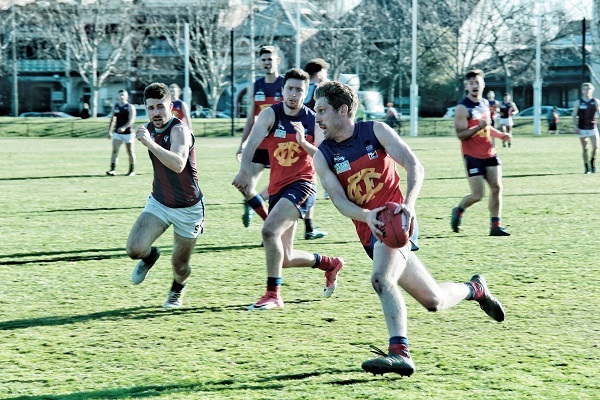 Fitzroy warmed up for the semi-finals with a heart-stopping come from behind steal against PEGS at Brunswick Street Oval on Saturday. With perhaps one eye on the semi final and no chance to move from second spot, the team was severely challenged by a determined PEGS outfit, before coming home to win by 2 points. Fitzroy was off to a flier with Max Ellis surprising everyone in the forward line and combining with the returning Nathan Jumeau for the early goals. After something of a shootout – not ordered by the coach – Fitzroy led 7.4.46 to 4.1.25 at quarter time. With only one goal in each of the next two quarters, Fitzroy looked in trouble. 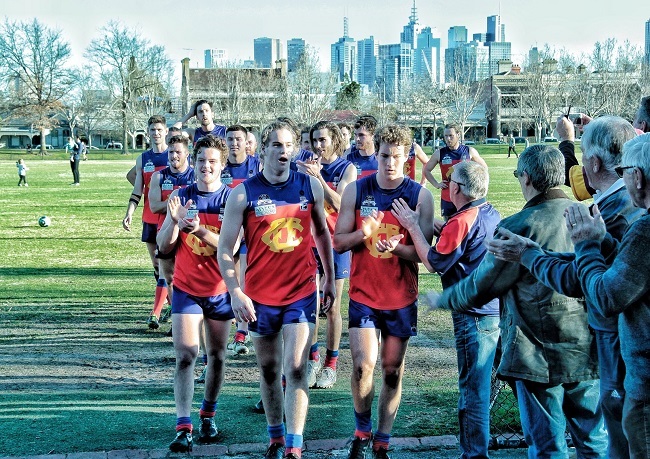 PEGS, who had inflicted Fitzroy’s first defeat of the year, looked like pulling off the double when they had a nine point lead and the momentum going into three quarter time. But if you want the ball in the hands of one man – four points down, 50 metres out, five minutes to play – its Sam Baker. Having been rewarded for the perfect tackle, he kicked from just beyond the arc and sent the big home crowd into a frenzy. It was certainly a case of winning ugly but a good sign that the team found a way to get the job done when they were perhaps a bit lucky to come away with the victory. Baker and Ellis ended up with three goals each and along with vice captain, Tom Cheshire, were the best players for Fitzroy. But this week is all about semi final two against the minor premiers, Williamstown CYMS, who defeated the Roy Boys at home two weeks ago. The stakes are high with the winner straight through to the grand final and the promotion to Premier B. This is big. If we think we’re keen to be back in B grade, you can imagine how keen Williamstown is; having spent 35 years in the ammos they have never been in B! There are always unlucky players when the coach has the unenviable job of selecting a side for the finals. Unfortunately for Jimmy Butler, who has played with guts and determination in the midfield, he injured his ankle late in the day and misses out. 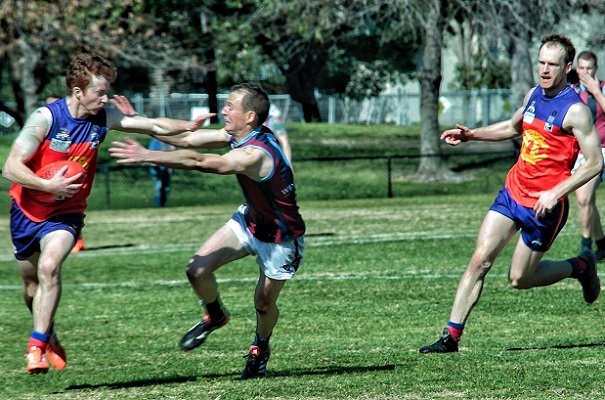 Also unlucky to miss and named as an emergency, Will Fenton will play his 100th game for Fitzroy on Sunday in the Reserves and depending on how the games play out over the coming weeks, may just get to his 200th VAFA game before the season is done. 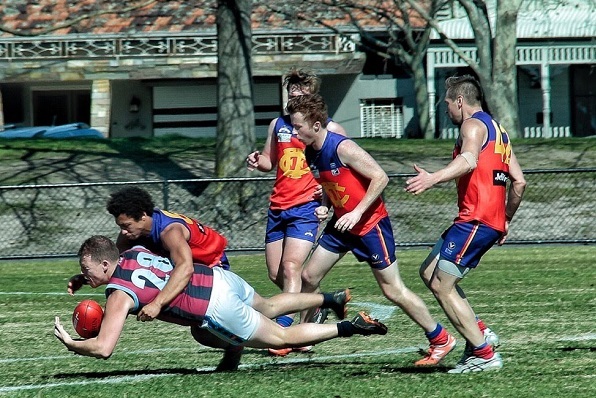 The Fitzroy Reserves took out the minor premiership in the Premier C Reserves competition on Saturday with an emphatic victory over PEGS at Brunswick Street Oval. And if winning form is what you need heading into finals, they are in good shape. The final score was 27.18.180 to 2.4.16. But it is one of two sides to defeat them this season who await them in Sunday’s second semi final; Old Geelong. Old Geelong defeated Williamstown on Saturday to dislodge them from second spot and earn the double chance. Last time the teams met out at Como Park on a wet and muddy day, the home side held on for a win with kicking inaccuracy costing the Roys dearly. There were several gentlemen who definitely had their goal kicking radars tuned in on Saturday and will be hoping to keep them there. Noah Wright, returning from several games in the Under 19s, kicked six goals, while best on ground, Gus Richardson had five. If anything, the side will be further strengthened this week with the inclusion of Will Pickering and Will Fenton. Congratulations to the Ressies for a terrific season and check out the story about their coach below. 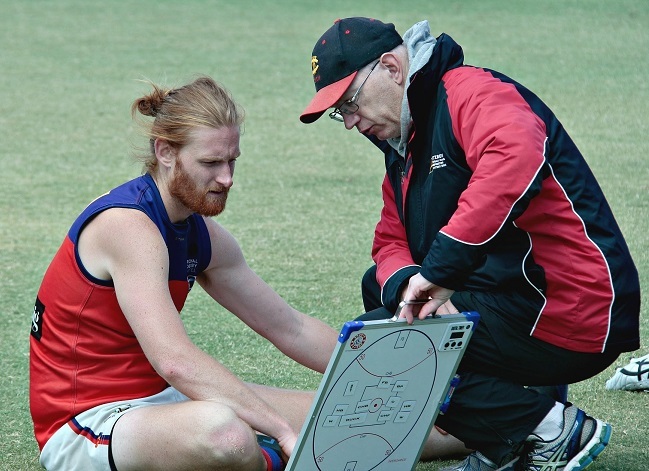 It’s very hard to fly under the radar when you finish top of the ladder, but that’s exactly the desire of our newly re-appointed reserves men’s coach Bernie Carter. This week Bernie joined Luke Mahoney with a two-year extension to his contract; a fitting reward for his work this year. 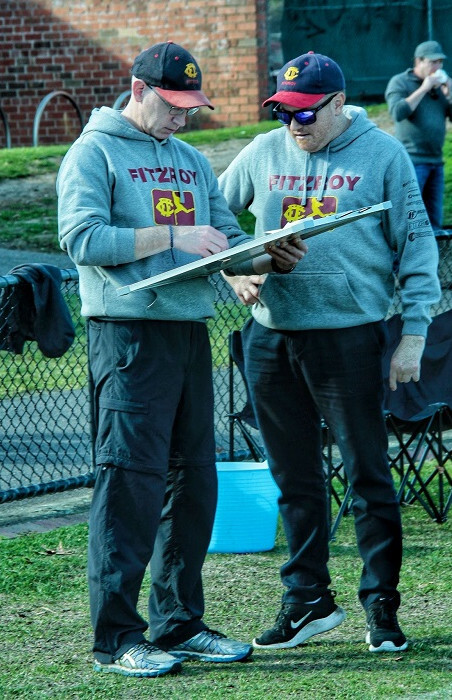 It’s fair to say the best performed home and away side at Fitzroy in 2018 has exceeded expectations and the coach is the first to admit it. 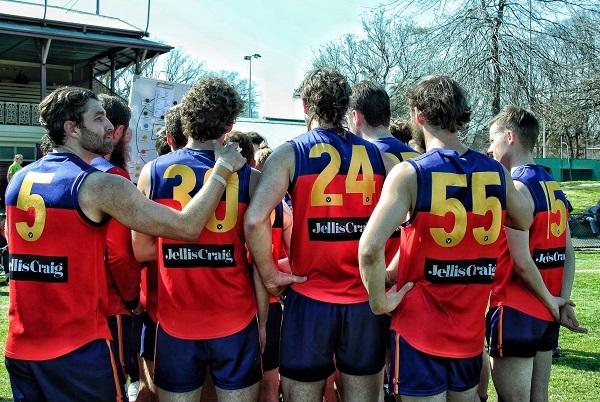 Bernie says he and the team are excited and nervous, but they recognise the great opportunity that awaits them with the start of the VAFA Finals series this weekend. “In a way the nerves are because we finished on top – there are expectations now that we need to follow it through. It is a great opportunity and some of the guys haven’t played in finals since 2012. “All the hard work they’ve done from November until now is all about trying to realise that ultimate goal and we have a couple of weeks to see if we can. Bernie said he was absolutely ecstatic and a little surprised the club had shown faith in him for a two-year extension. Something he accepted after close consultation with his biggest supporter; wife Michelle. In typically modest style, Bernie had a long list of thankyous starting with Luke Mahoney, President Joan Eddy, Football Operations Director, Sharon Torney, and coaches Michael Pickering and Sam Bishop, but he saved particular thanks for his assistant coach Leigh Quinn (pictured right) and Reserves captain Jack Atkinson. Let’s see what the two leaders and their team can do this weekend. Best of luck on Sunday boys. 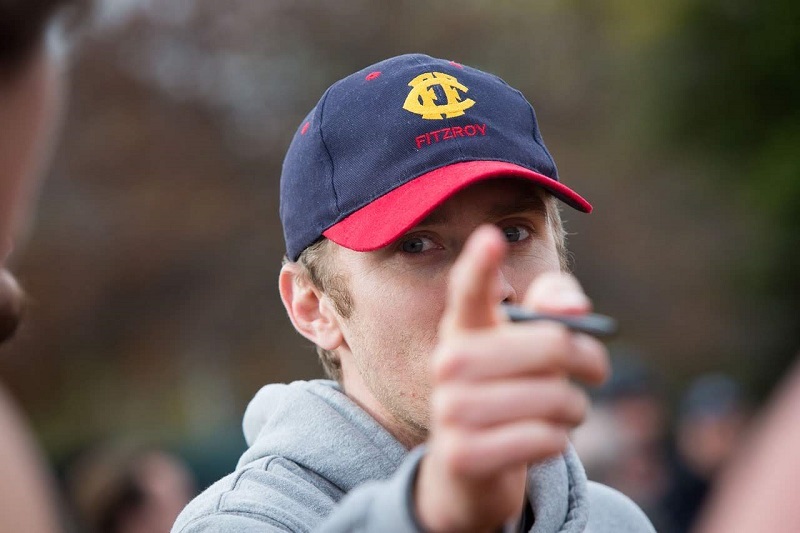 The Fitzroy Reserves will play Old Geelong at Bill Lawry Oval in Northcote at 11.40am. There is surely no better way to spend Father’s Day! 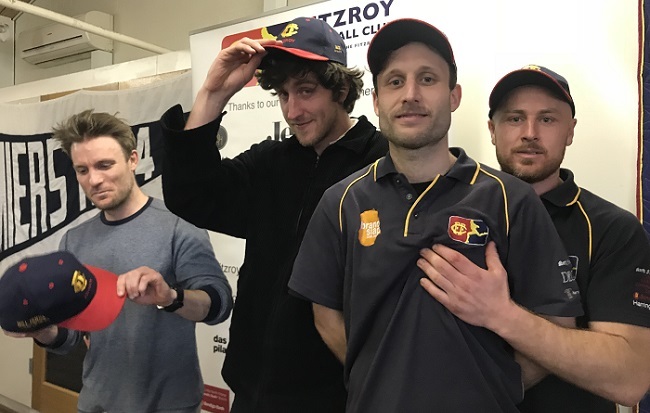 Fitzroy’s new Captain’s Cap tradition has gone to a new level, with all the former Senior Men’s captains, since the merger with the Reds, presented with their individually monogrammed Fitzroy caps last Saturday. The first captain of Fitzroy FC (incorporating the Fitzroy Reds) – with his captaincy spanning both clubs – Jimmy O’Reilly was first cab of the rank, presented with his cap by Rory Angiolella (who inspired this idea) at the pre-game lunch. Rory credited Jimmy with some aspects of his captaincy approach, in particular getting to know the young players well and taking an inclusive approach. In the post-match function, Will Fenton, Sam Baker and Daniel Bisetto were presented with their caps by President Joan Eddy with Will making the acceptance speech on behalf of the group and describing his love of the club and BSO, the best ground in the world! With a call up to the Essendon VFLW side, Alexa Madden, the inaugural women’s captain of the Fitzroy-ACU team, couldn’t be at the Fitzroy-ACU lunch for her cap presentation, but it will happen in coming weeks. Sadly, during the week Will and Maddie Symons’ grandfather, Ian Unkenstein, passed away after a short illness. 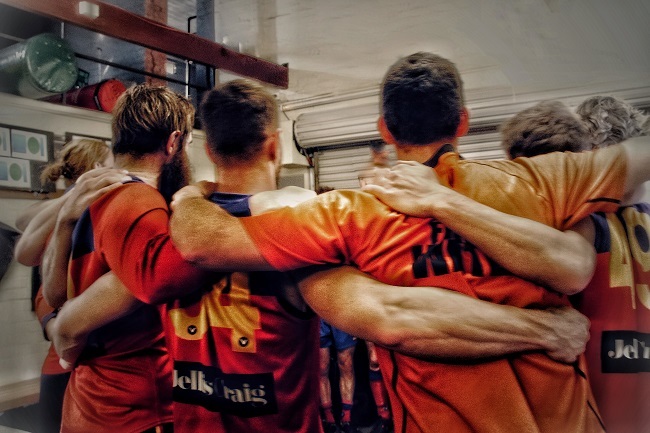 Both Fitzroy teams will wear black arm bands in the semi-finals as a mark of respect. The Fitzroy family sends its love to Mick, Annie, Will, Maddie and the whole family. 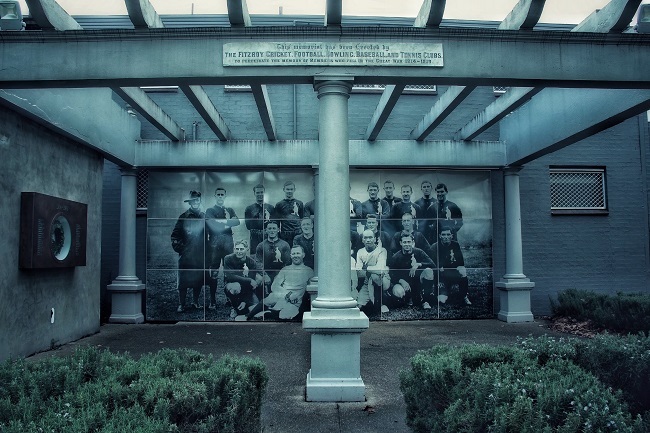 Ian was a keen sportsman and had a rich history in the VAFA being part of Collegians’ legendary three-peat of A grade grand final wins from 1957-1959. He was a regular attender at Collegians’ reunions, happy to re-tell many stories from those halcyon days. He took great pleasure in watching his grandchildren play for Fitzroy. Ian was a warm and generous soul who loved his family dearly. He will be sorely missed. He is pictured here with Will. 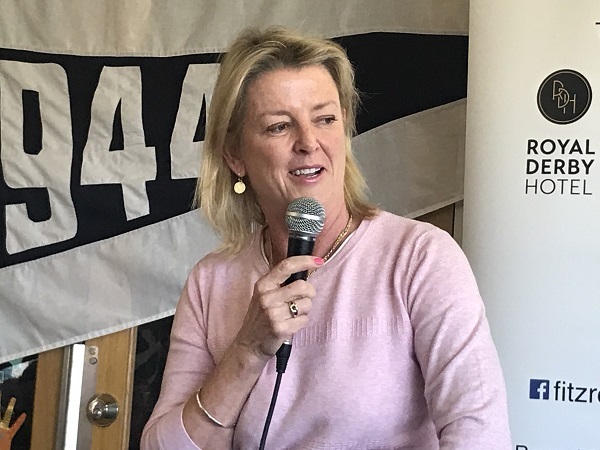 The ACU Game and final pre-game lunch of the season lived up to expectations on Saturday, with an all-star panel talking about all aspects of women’s football. 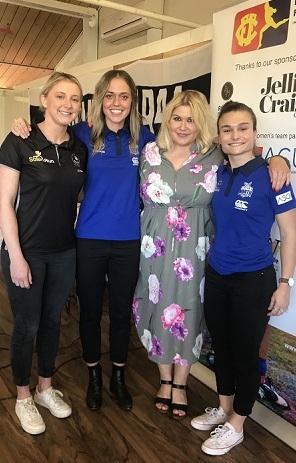 Coming off the bench after wisdom tooth surgery, sports journalist Megan Hustwaite led the discussion, first with VAFA supremo of Women’s Football, Shona MacInnes, and then the players took centre stage. 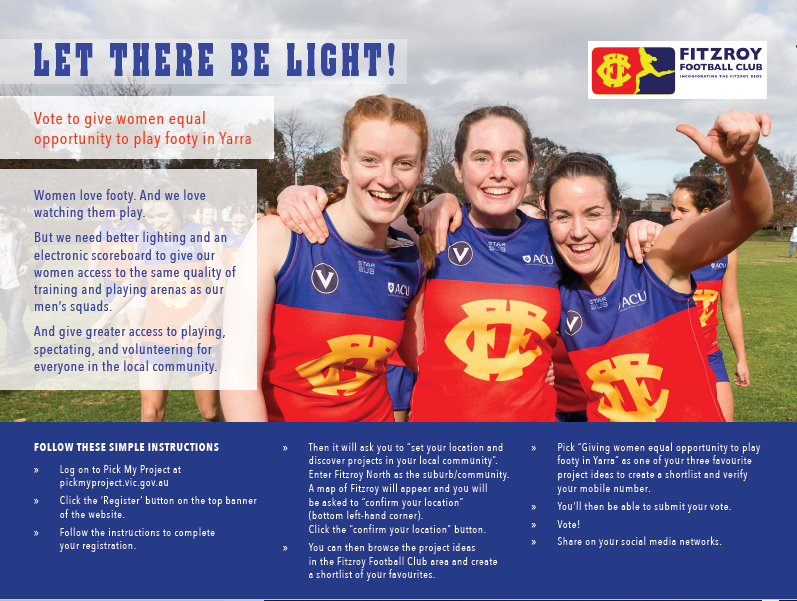 Shona talked about the can-do approach taken by her team at the VAFA in getting such a large competition up and running, with unexpectedly large numbers and growth, and attempting to meet all the needs of the clubs – existing, new or coming from other competitions – to form part of the largest amateur footy competition in Australia. The overwhelming feedback from the teams has been women’s football is great for their clubs. Shona indicated there would be more competition in 2019, with 8-10 new clubs coming on board with women’s teams. 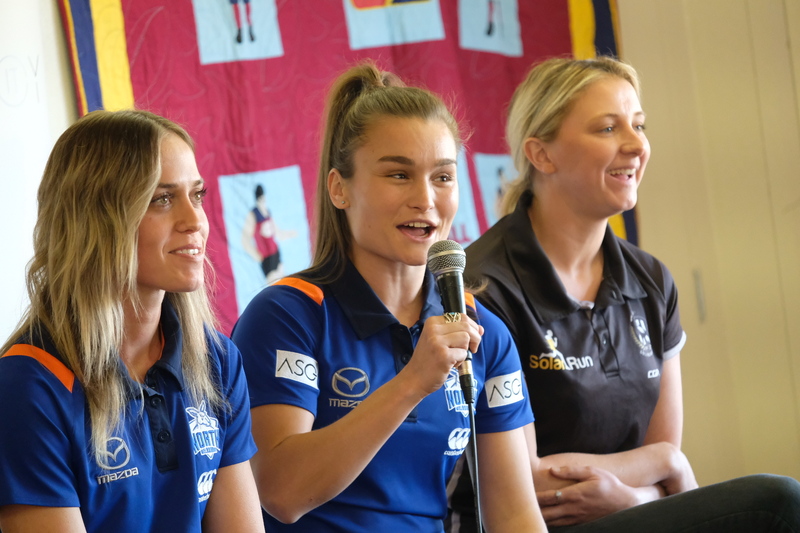 North Melbourne Tasmanian Kangaroos AFLW players Kaitlyn Ashmore and Ash Riddell, were joined by Roy Girl and Collingwood VFLW leadership group member, Hillary Grubb. 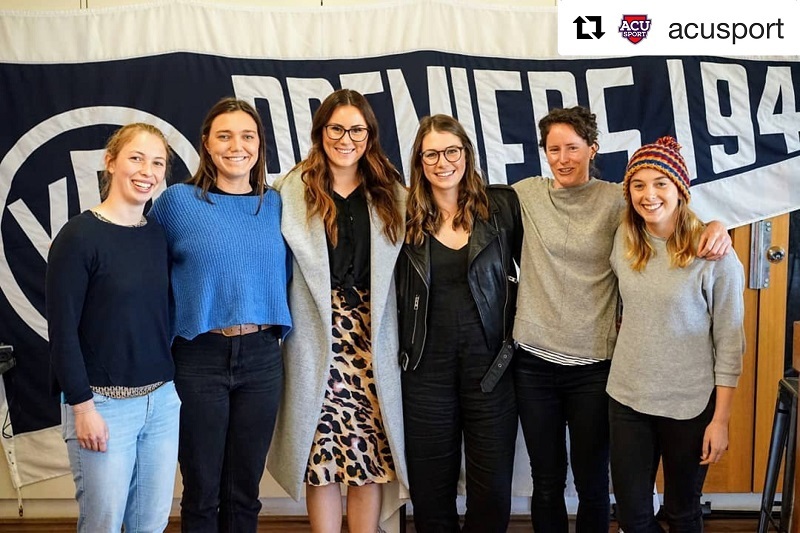 Their insights on the pathways for women playing football in Victoria were really open and honest and no doubt helpful for any other women seeking to follow in their footsteps. Thank you to the clubs and the players for their involvement. At the start of the day Georgia Dyer, representing the Australian Catholic University, also spoke about the Uni’s relationship with the club and the passion they had for women’s football. Not only that but she said they’d taken quite some inspiration from the performance of our female players this year, which was lovely to hear. 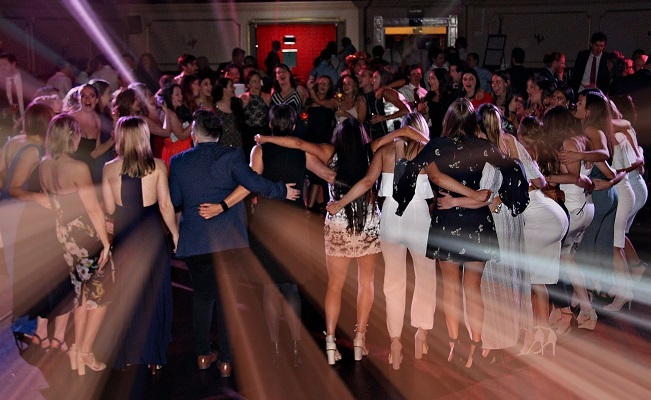 (Georgia is pictured here with Roy Girls Hillary Collett, Lucy Murphy, Rachael Telfer, Freya Shearer and Gemma Minuz). Thank you to Nick Armistead of the VAFA who attended and took the video of the song and picked it as his highlight of the weekend. Just to clear up any doubt, Tess is American! All you need to do is follow the instructions below (or register via Facebook), share the link and encourage all your friends, relatives, neighbours…everyone…to vote. 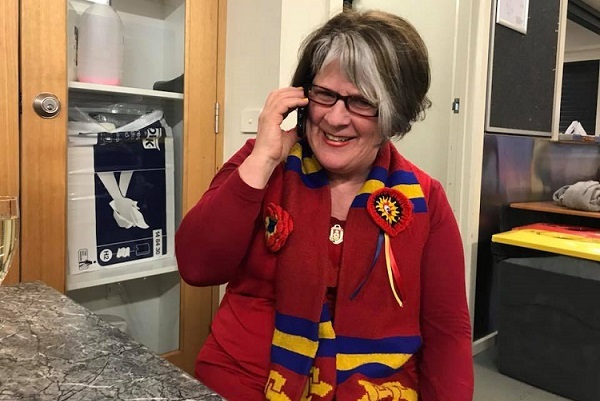 Fitzroy President Joan Eddy had the pleasure of calling the winners in the club’s major raffle, which was drawn in the post-match function in the community rooms at Brunswick Street Oval on Saturday 25 August. Former Under 19s player Matthew Gloster was the lucky winner of the double-passes to the 2018 Toyota AFL Finals series tickets (donated by the Brisbane Lions AFC: AFL Authorised GF Promotion Code GFAFL 18/17), including the 2018 Grand Final. And would you believe, it was senior captain Julian Turner who sold young Matthew the winning ticket! Matthew is a Geelong fan and Jules loves his Pies, so if Collingwood make the grannie you can bet Matthew might be getting a phone call about his +1 for the big day at the ‘G. Second prize of the beautiful Fitzroy quilt went to former Director Grant Hammond, and the $300 Caltex petrol voucher went to Jack Nicolson. 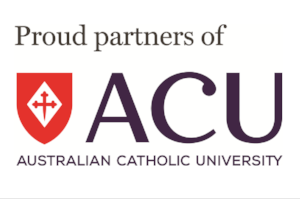 Thank you to the Brisbane Lions, Louise Maniatakis and Caltex for our wonderful prizes and most of all, thanks to the fabulous Helen Manoli, who ran a hugely successful raffle. Thank you to all those who purchased tickets to support our football club. Rory Angiolella and Sam Baker shared the Tram Conductors’ player of the year award on Saturday evening, with a unique presentation in the rooms after the game. The pair had just underlined their credentials with the role they played in the narrow victory over PEGS and now get to share in the golden bell. Max Ellis took out second place and third was Matt Kyroussis. Earlier Murray Johnstone and Anthony Lewis of the Tram Conductors presented two special awards – with the awarding of the Tram Conductors’ pens to Michael Pickering for his role as ‘father figure’ around the club, and to Ross Borland for embodying the pride and passion the conductors like to see from those in the Fitzroy colours. 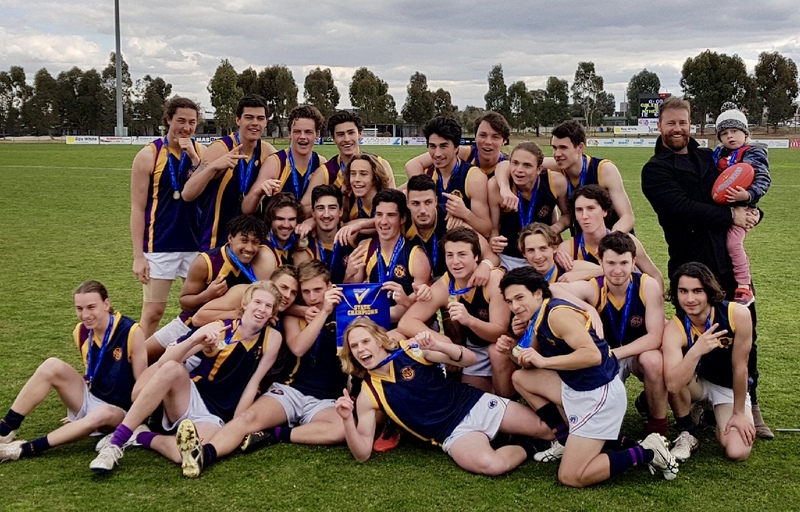 Congratulations to Northcote High School, winning the State Championships for the second year in a row, with a 27-point victory over Galen Catholic College, Wangaratta. 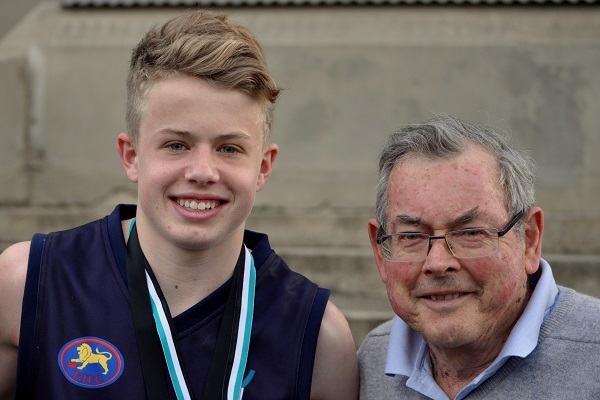 The side was co-captained by our own Donovan Toohey and Sunny Brazier and featured a number of Fitzroy Junior Colts and Fitzroy Under 19s, including Max Tieman, Alex Prokos, Darcy Lowrie, Marcel Laidlaw and Liam O'Connor.